The other day my husband came home very excited. He had a surprise for me and couldn’t wait to give it to me. My first thought was that he been to the neighboring city that has my favorite chocolates, See’s candies, and picked up a box. 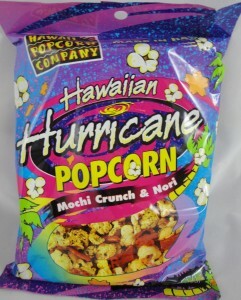 Therefore, when he gave me a bag of Hawaiian popcorn, I wasn’t as excited as I should have been. 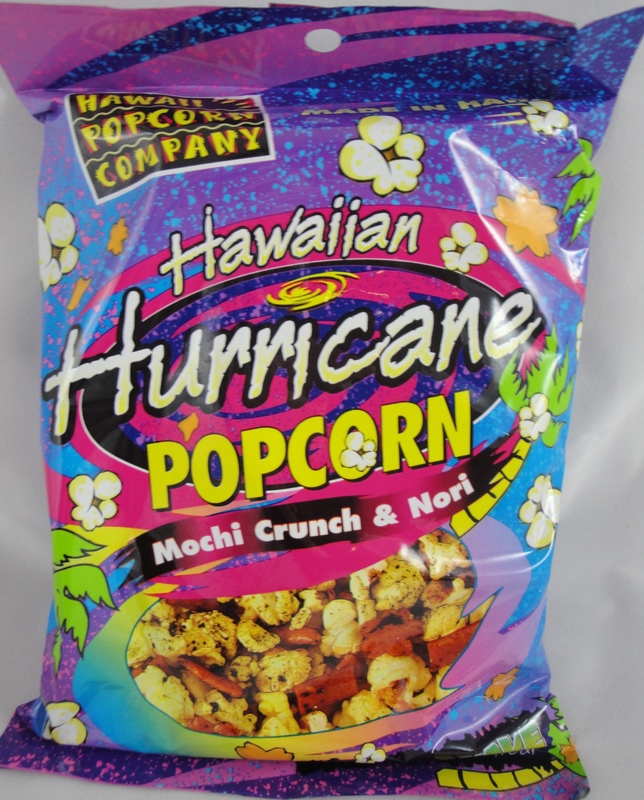 Hawaii Popcorn Company, whose motto is “We’re Poppin in Paradise”, has a delicious popcorn product. 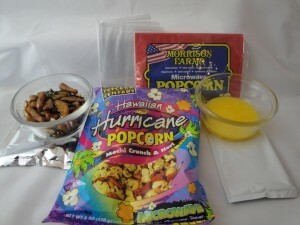 Preparing this microwave popcorn product was a touch more involved than standard popcorn. 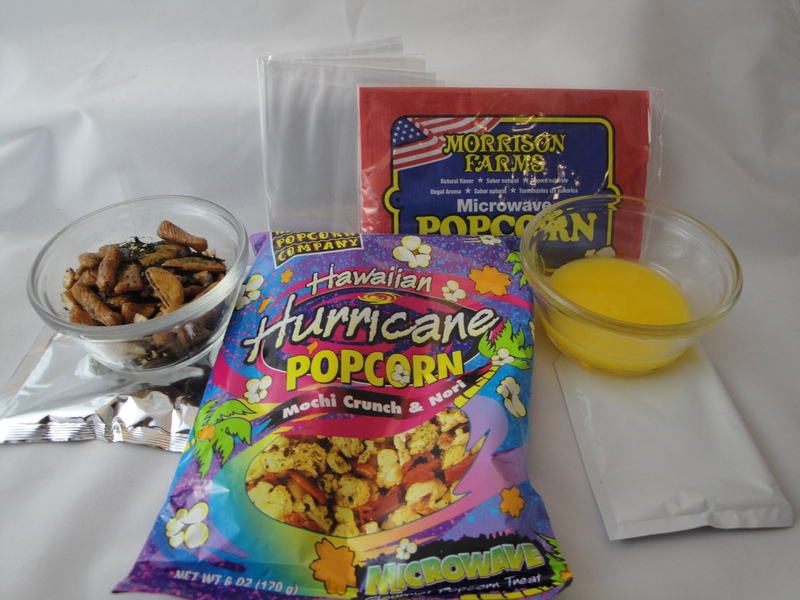 Enclosed in the bag of Hurricane popcorn came a microwave popcorn bag, a bag of mochi & nori, a bag of buttery topping and a plastic bag where you mix all (the hurricane). It was very easy to prepare and it was great that you could choose the amount of buttery topping to add. I have visited the Hawaiian Islands several times, spent 4 years working for a Japanese company and love all seafood. Therefore, mochi, nori and seafood seasoning are familiar and good tasting. Mochi crunch is basically little rice crackers seasoned with soy sauce, sugar, sesame and seaweed. 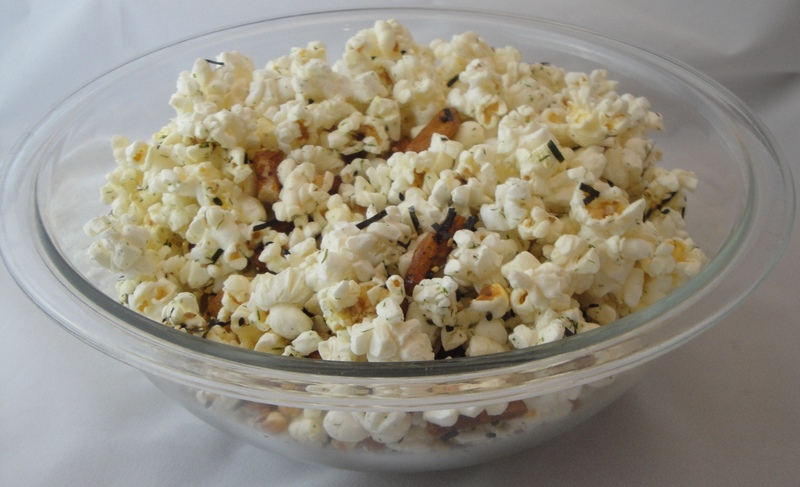 Nori is a Japanese seasoning that is composed of sesame seeds, sugar, seaweed, salt and MSG. A bit of MSG contributes to the delicious flavor (Umami) of any product. The buttery topping of this kit seemed like it contained a little crab flavor. In the flavor world we recognize this flavor as natural DMS. It is a sulfur compound found naturally in thousands of products: including strawberry, raspberry, peppermint, butter, canned corn and crab. 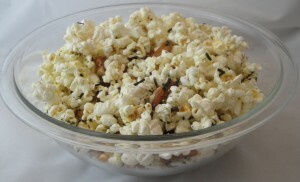 This light crab flavor blended the entire popcorn product together well and made for a delicious and unique savory snack.